Hot Springs, North Carolina. It’s a lovely hiker town. There’s a lot to love. Everything is incredibly convenient and the food is great. I’m back at Elmer’s Sunnybank Inn. It’s a 175-year-old house with lots of loving. It wears like your favorite slippers. It’s a living AT landmark and worth the visit. 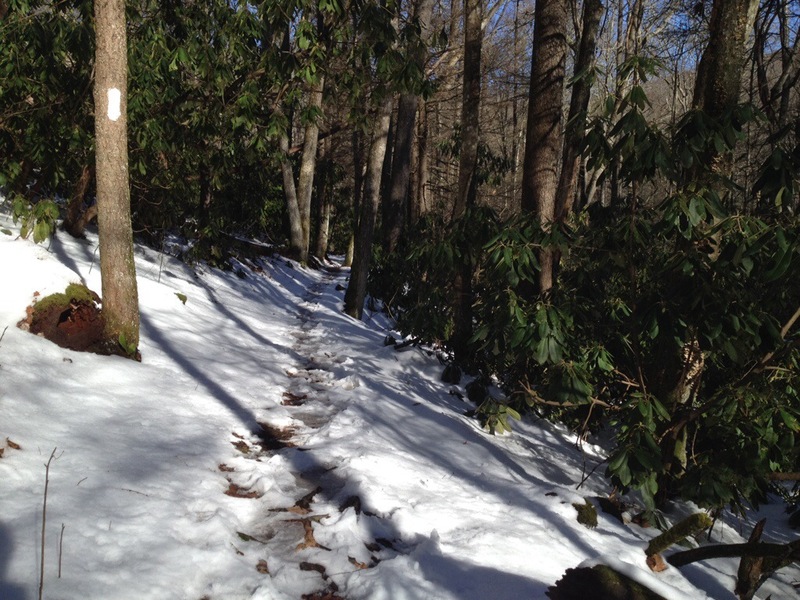 The hike from Standing Bear Farm at Davenport Gap featured plenty of snow from last week’s storm. A couple of drifts were around 20 inches, but most of the trail was slathered with icy crusted footprints left mostly by the herd of SOBOs migrating toward Georgia. 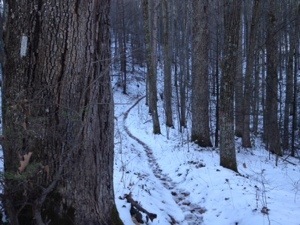 The icy trail slowed the pace some, but my MSR microspikes added huge afterburner in the form of sure footed traction. They are not a requirement, but when you want them, it’s nice to have ’em. Max Patch lives up to its billing. The view is awesome with the added bonus that it was free of snow. As fate would have it, I stumbled into a SOBO blogger I’ve been reading. It was like a cherry on the summit. Before leaving the trail for Thanksgiving, on average I met a SOBO about every 36 hours. The last couple of days, sighting them became routine. Seems the Storm and a special community Thanksgiving hiker feed sponsored by Crunchmaster’s dad and Ms. Janet corralled them in town. Sometime you outsmart yourself. I bought two packs. One for the winter and one for the other seasons. The summer pack is 40 liters expandable to 50. The winter behemoth is 80 liters. The reasoning being that I’d carry slightly more and I’d have to compress my down less. Well, the big guy didn’t work out and has been fired. The hip belt ate me alive. I have purple bruises on both iliac crests. Nearest I can tell, the issue relates to the 30 lbs I’ve lost since I bought it. I didn’t buy a new pack from the excellent outfitter in Hot Springs because I didn’t want to make a mistake. By returning to my smaller pack but tried and true, I’ll have to up the risk a bit by excluding some gear, but my sleep system will remain viable well below zero. Seems I was smitten both by my hip belt and weight loss. Lesson learned. Sure hope the soreness goes away quickly. Now it’s off to Erwin, Tennessee where I’ll see M-80 and stay at Uncle Johnny’s Hostel. I had to look up SOBO — southbound, yes? Glad you had a break for a few days, and other than the pack weight, sounds like you started up pretty well. Southbounders is correct. Sorry for not being more clear. All’s well. Thank you. No worries. I’m just new to the lingo of hiking. Looking good! 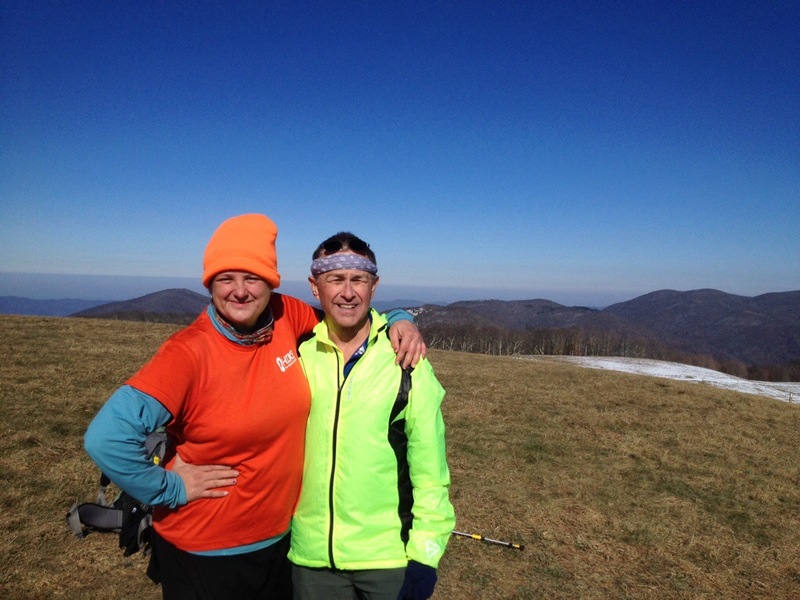 Max Patch is still one of the highlights of my hike. I’m so glad you got there on a good day. Also, I got the subscription issue worked out now that I’m at a computer. Didn’t see one. Good idea! Glad you had a nice Holiday..You seem to be having a great time.. This is an amazing adventure. Thanks. Hope to see you Sunday. I’ll be at Uncle Johnny’s by 5.